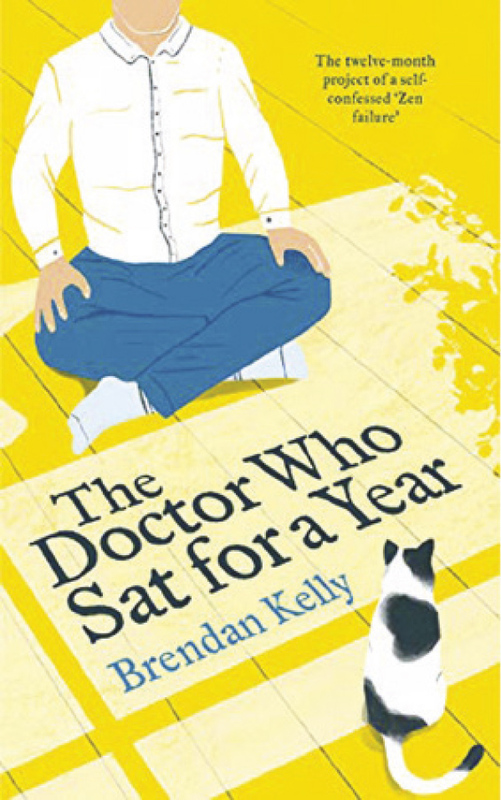 Mindfulness is a popular topic at present, and in “The Doctor Who Sat for a Year”, Brendan Kelly takes a unique approach when he sets out to document his decision to meditate for fifteen minutes every day for a whole year. Of course, as anyone who’s tried meditation will know, it’s not as easy as it may look, and by day two Brendan had already hit a wall, only to quickly recover and find something close to Nirvana a few days later in Paris. Well, who wouldn’t? Throughout this year-long odyssey, a wide range of topics – from books to cake addiction – get aired, and always, the figure of Trixie, his redoubtable moggie, is never far away. The author freely admits to being a Zen failure, but the jury’s still out on Trixie. Brendan suspects he may be a master. Topics arise without preamble, such as our strange approach to decision making. We think nothing of splashing out on a gym subscription that we never intend using, while assiduously avoiding the really big questions, like how can I make my life meaningful? Brendan Kelly is a professor of psychiatry at Trinity College Dublin and a consultant psychiatrist in Tallaght University Hospital. He had to work his meditation around a busy schedule that included seminars, radio and TV slots, which included an appearance on The Late Late Show. He has written extensively elsewhere on this subject, as well as publishing many academic papers. Brendan situates his practice very much in the Buddhist tradition, and sets out a different theme for each month, based around the Four Noble Truths and the Eight-Fold Path. For anyone not familiar with Buddhism, the first is what frames Buddhist thought, and the second the method that the student is meant to follow. ‘Dukkha’ is the first of the four noble truths. Roughly translated it means, ‘All life is suffering.’ But in the Buddhist tradition suffering is not something that happens to us, and certainly not punishment from an angry god. Rather it arises from our thoughts. It is our thoughts about things, and about ourselves, that cause us to suffer. The book recounts Kelly’s visits to some of the most revered Buddhist sites in India, including Bodhgaya, the town where Buddha was said to have gained enlightenment sitting under the bodhi tree. Brendan even had a go himself when he was there. He also visited Patna, in North East India and closer to home, Dzogchen Beara, a Buddhist centre in the Beara Peninsula in West Cork. Apparently, Ireland has more connection with Buddhism than we might realise. He defines the right kind of reincarnation by a quote attributed to the Buddha; “every morning we are born again. What we do today is what matters most”. This is not a book that purports to teach you how to meditate, and may thus find more appeal with those who have an academic interest in the subject, or are already seasoned practitioners. However, I hope this is not the case, as there is much to learn here. Worth the price alone just to discover how cats gain enlightenment!